I decided to start this project this weekend. 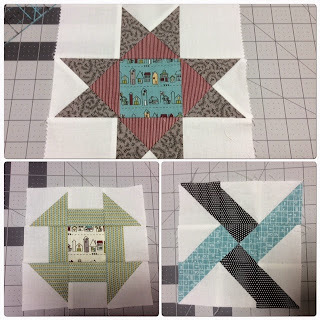 It is a quilt from a Craftsy class led by Kimberly Einmo. I consider it a great skill builder quilt. I don't even know how my half-square triangles I created this weekend! Fabric is Road 15 by Sweetwater for Moda. I really love the fabric!